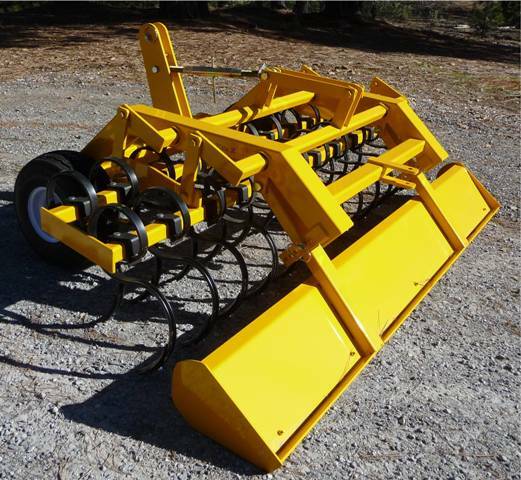 These harrows are also designed to provide grooming equipment for anyone with traditional footing blends, sand, felt additives, as well as specialty or treated sands. The ‘rack’ system, to which the S-tynes tines are attached, is a “link & lever” system, with up and down action, which keeps the S-Tynes at the optimal angle for proper tooth entry, at all times, regardless of depth adjustment. This design has provided an improved pattern of tooth spacing and tooth entry, which in turn, delivers exceptional rotation of the material through the S-tynes, consistency, and ground coverage. 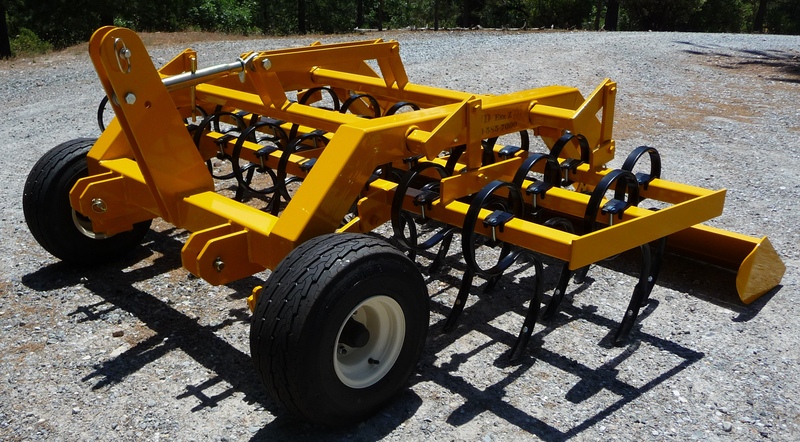 Depth adjustment capabilities of the ‘rake’ for the JD Eee Z harrows is zero to approximately seven inches in depth, however, adjusting the depth with the turnbuckle allows the operator complete control. The JD Eee Z harrow is available with 2 Row, 3,Row or 4.5 Rows of S-tynes. Additional rows of tynes minimizes time spent harrowing the arena, as well as providing additional cutting coverage. The rear Float pan smoothes and levels behind the tines to leave the newly conditioned footing with a finished surface and light surface compaction. The Float Pan has six different height adjustment levels per operator preference. Because the harrow rides on tires, depth control can remain consistent to the operator’s settings while the base is awarded additional protection from gouging. The wide floatation tires also help avoid compaction caused by narrower or deep tread tires. The JD Rudy Harrow is considered our Specialty Harrows. This harrow was specifically designed to fulfill the need for equipment that would correctly groom arena footing with temperamental felt additives or treated sand. All prices FOB our warehouse. Prices subject to change without notice. Please call 800-585-7000 for more information. Made in U.S. of U.S. and imported parts. Please do not hesitate to call if you have any questions, Tractor Dean and his staff would be pleased to help you find the right harrow for your facility and operator expertise!